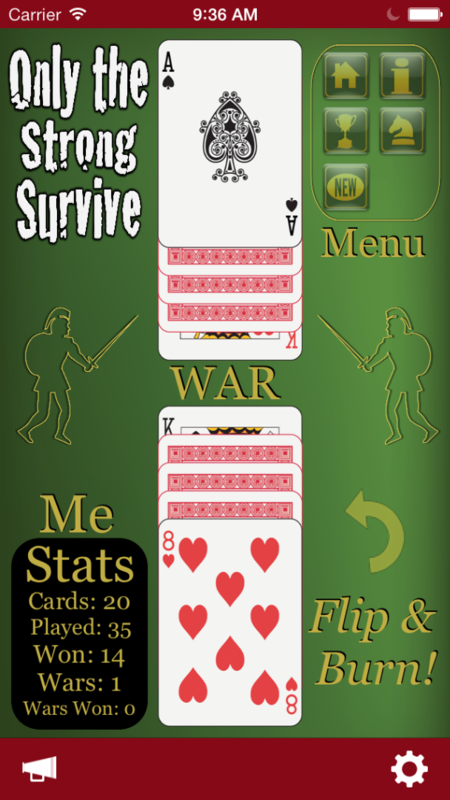 Play the classic card game WAR like you're supposed to: MULTIPLAYER! 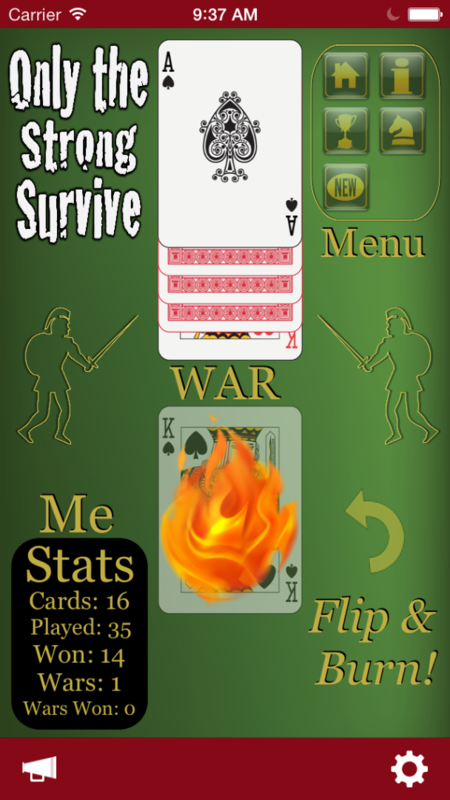 WAR THE ULTIMATE MULTIPLAYER EXPERIENCE comes to iOS! Play your Game Center buddies all around the world via turn-based multiplayer action! Play up to THIRTY games of WAR at the SAME TIME! 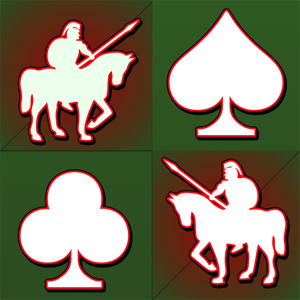 Application Features: -Play Multiplayer War with friends or with players from all around the world on Game Center! -Turn and Burn Action! Watch the losing card get set on fire! 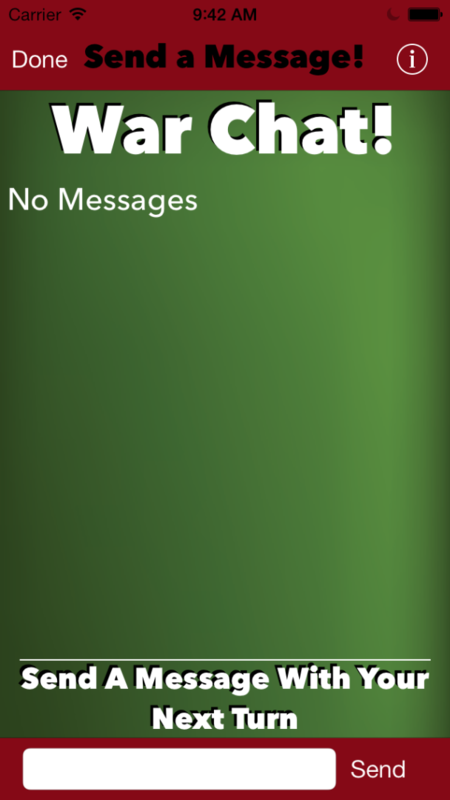 -Game Center Leaderboard and Achievements! 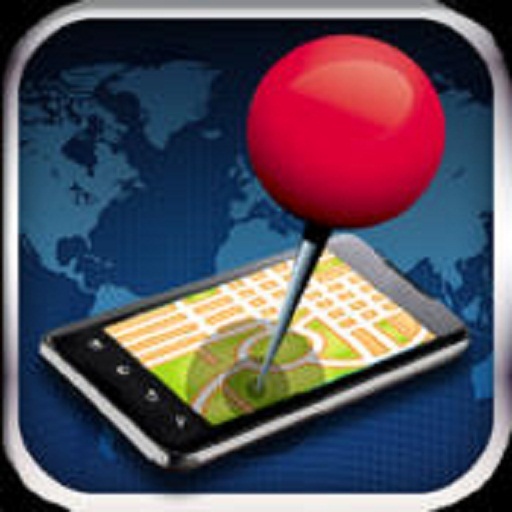 -UNIVERSAL APPLICATION: THIS APP IS OPTIMIZED FOR iPhone, iPad, and the iPad Mini! -WAR CHAT! Send a message to your opponent with your turn! Not social? No problem, go to settings and turn easily turn the War Chat off! -Single Player is also supported! -In the middle of a intense game, but something comes up? No problem! Turn-based gaming allows lets you pick up right where you left off! WHAT ARE WAITING FOR? Play WAR THE ULTIMATE MULTIPLAYER EXPERIENCE now!